The free Kiln Carving Pattern for May is a beginner level design, perfect for anyone who wants to try kiln carving but isn’t sure where to start! After you’ve downloaded the pattern, follow these easy steps and you’ll have a lovely kiln carved flower in no time flat. Happy St. Patrick’s day! In honor of my family heritage (you did see the McRaney up there, didn’t you? 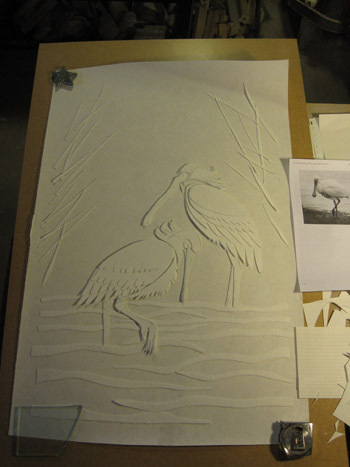 ), here is the free kiln carving pattern for March. This pattern is slightly more difficult to cut than the pattern for January, but still quite straightforward. 1. Cut a piece of fiber paper big enough for the pattern. I used 1/32″ fiber paper for this particular project. 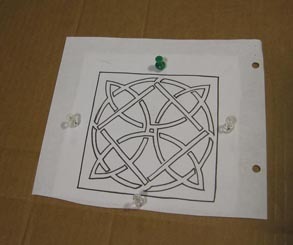 Tack the pattern over the fiber paper through the black tack dots. 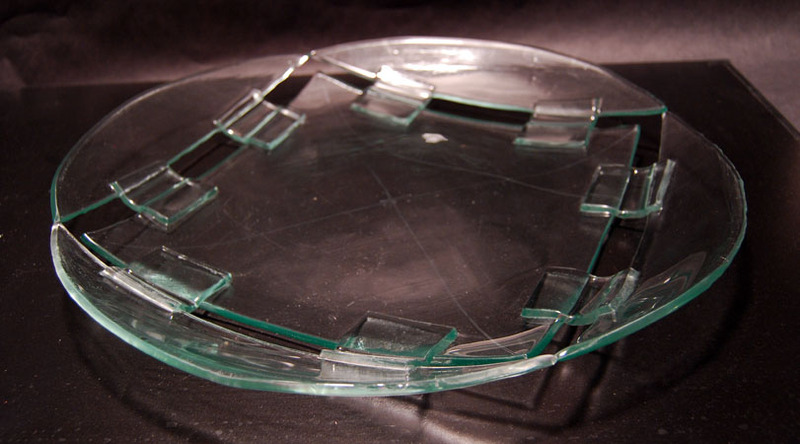 When creating glass artwork with recycled glass, color play often isn’t an option. By stacking and tack fusing, you can create visual interest. Using ‘white space’ in conjunction to ‘stack and tack’ gives you a huge variety of options. This piece is a large circular vessel. After cutting the circle, a 1″ wide strip was removed from the inside (drawing a square within the circle). Then squares of the same sheet of float glass were stacked over the gap and tack fused.